The RAM-HOL-UN8BU Universal X-Grip Tablet Holder features a spring loaded four leg X-Grip® to cradle your tablet with a 1" rubber ball connected at the back. The RAM-HOL-UN8BU RAM Universal X-Grip Tablet Holder from the RAM iPad & Tablet Mounts range is made of a 1” rubber ball that is joined to the base’s back. 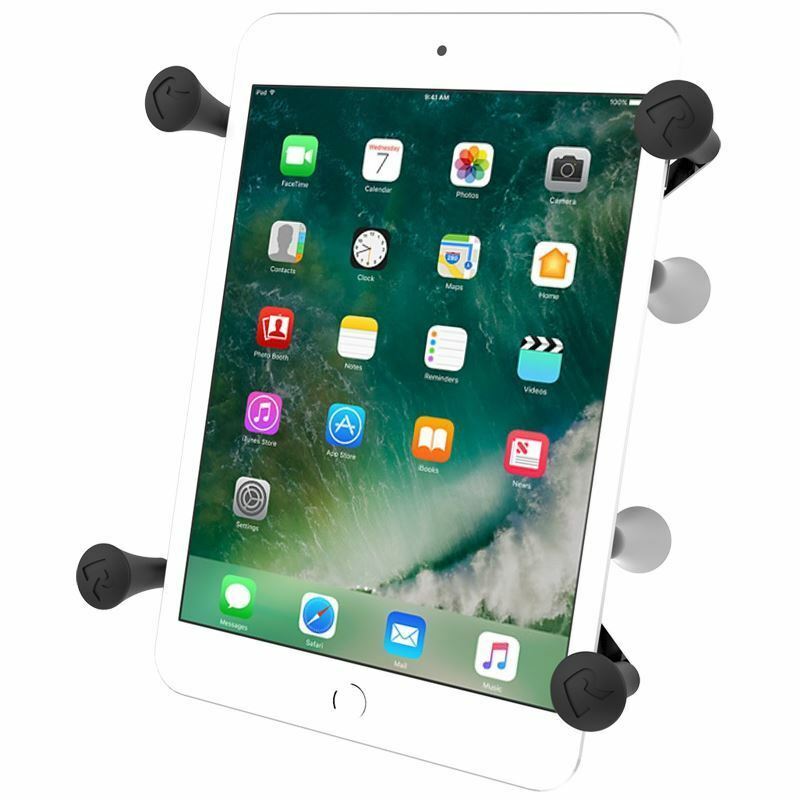 This Ram Mount also has a spring-loaded cradle and easy -to-access grip knobs to simply remove your tablet from the cradle. Most 7”-8” tablets can be secured in the RAM-HOL-UN88. The X-Grip can also be used for outdoor applications with its device tether.